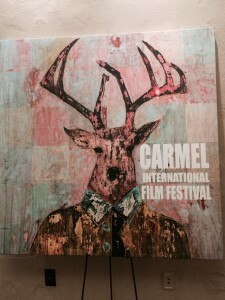 My husband and I love movies and travel, so it made perfect sense for us to venture out west to the Carmel International Film Festival. The charming California seaside town, Carmel-by-the- Sea (simply called Carmel), is a truly magical getaway experience. Nestled amongst cypress trees, the cobblestone streets are lined with specialty shops, art galleries, restaurants and bakeries that smell like pastry heaven. The locals are kind, unpretentious and live in beautifully crafted beachside cottages. This laidback California vibe was ever present throughout the week’s festival making it a must on your bucket list for all you movie aficionados. The annual festival is open to industry insiders and the general public alike. My husband and I had the rare privilege of interacting with directors, producers and actors. In addition, there were seminars, music and endless parties filled with eclectic guests. My favorite event was the sunset Beach Bash, where all attendees conversed amongst a bonfire with cocktails and specialty food. When we weren’t out partying the night away, (after all we did come to preview some exceptional films), my husband and I enjoyed a great film line-up! Our favorites included: Nightcrawler (featuring Jake Gyllenhaal and Rene Russo); Laggies (featuring Kiera Knightly, Chloe Grace Moretz and Sam Rockwell); and 5 to 7 (featuring Anton Yelchin and Glenn Close). My least favorite film was Confessions of a Womanizer starring Andrew Lawrence (Yes, Joey’s little brother!). Although I must say, Andrew is by far the most attractive Lawrence brother and the director Miguel Ali was incredibly charming. Emmy Rossum was the festival’s honored actress with her notable film, You’re Not You. I was privileged to meet her and have nothing but praise for the Shameless starlet. “Emmy,” as she introduced herself, was confident, self-aware of her celebrity, yet something was perfectly imperfect about her. And yes ladies, Emmy was gorgeous in person! Her porcelain doll features were showcased by her simple Zac Posen green dress with a hem that fell at a very flattering part of her knee elongating the leg. My only critique was that her Louboutins were at least a size too big and even my husband noticed. I have read multiple times that she does not use a stylist, but it wouldn’t hurt to give Tracy Clifford Style a call!! Speaking of designer shoes, I was horrified to learn that in the 1920s Carmel enacted an ordinance that bans wearing shoes having heels more than 2 inches in height to defend the city from lawsuits resulting from wearers tripping over irregular pavement. Although not actually enforced today, be sure to bring comfortable (but of course fashionable) shoes when exploring this resort town. I have created a Tracy Clifford Style weekend guide for all you travelers and of course check out my previous blog posts for fun fashion travel tips!! • Katy’s Place – great spot for breakfast with a menu featuring over 20 variations of Eggs Benedict in addition to great house specialties. Cash only. 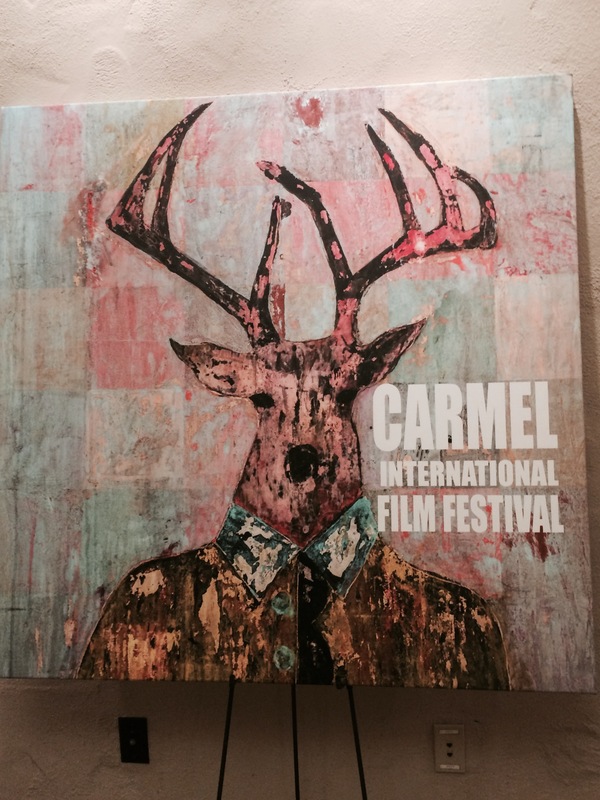 Bring a lot – this is Carmel after all! • GBG – great selection of clothing ranging from Rag&Bone, Isabel Marant, Elizabeth and James, DVF, ALC, etc. • Augustina – amazing store with some of the best fur pieces in the world ranging from outerwear to blankets. The selection of jewelry is equally impressive. Augustina is worth a look even if you are just window shopping.